We are blessed to see lots of progress. But today was not one of the days we saw much of it. In prayer time, one young man’s marriage was falling apart. Another client has run out of his meds and his mental state is deteriorating. He still wants to take meds but hasn’t yet done anything about securing another month’s supply. As we walked our blocks, we ran into a client who just quit his job, after celebrating just a few months ago a big promotion. He’s now considering returning to the street life. Setbacks happen. Getting to the street is not a single decision or result. It’s a long string of decisions and actions or inactions. And the decision to get off the street rarely happens in a straight line. It’s up and down. Fits and starts. It gave me reason to remember adages I learned from my mentors early in my training. “You can’t want something more than the client.” If we are “invested” more in the outcome that then client, we’re in trouble. And from mission training, “Mission moves at the pace of the people” is something my mentor taught me. Missionaries cannot sweep in with their money and their beliefs and hope anything good will happen. Mission moves at the pace of relationship building and readiness of those served. There will be days of setbacks and days where I must reinvest myself in new solutions. I wait on the Lord. He is able to do all things. And he works all things for good. So we will wait and pray for a different day, one in which clients want more for themselves. A recovery client used our on-line prayer tool to reach out this morning. It’s hard for this client to ask for help but they did in the form of prayer! Very encouraging to be part of her growth. She and her house-mates all lived on the streets, and we ministered to all of them over the years! A year’s lease is a big milestone. And the ability to renew for another year! Now that’s encouraging! Our prayer for clients is to see them want and create stability and sobriety in their lives, sometimes for the first time. And we encourage them to see God’s unceasing provision in their life and to reopen the door to faith. And finally we hope to see them join a Christian community. We describe our clients are street-dependent. They may depend on the street for one or more things (e.g., housing, economy, self-medication, or friends) but as they get back on their feet they begin to provide for themselves. They find a job and no longer need financial help. They get a place to live and no longer live outside. They seek help and heal and no longer need to self-medicate. They make new friends and no longer solely depend on the street for social support. We call this recovering! And we hear from recovery clients all over the country thanks to texting and FaceBook! We love it! We were delighted to hear from a recovering client the other day. He responded to one of our posts for a one-of-a-kind item asked for and needed by our clients. We don’t post everything asked for by our clients. We do pray for everything they ask, but we’re not Walmart or a bank. But when they have critical needs, we share them on FaceBook. A recovering client responded. 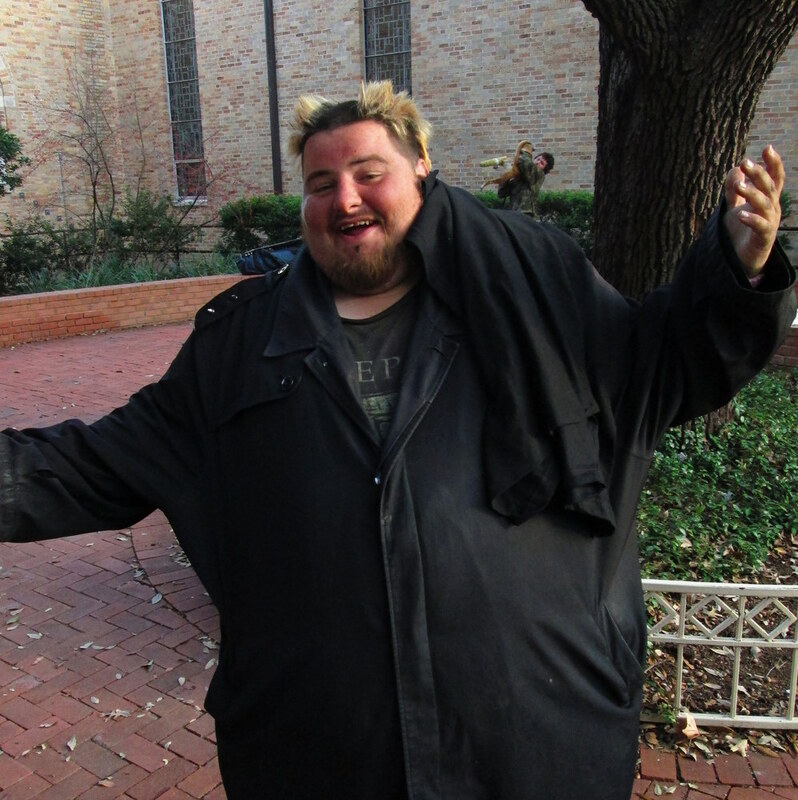 The recovering client understood what it means to be large and homeless. You never find clothing that can cover you. You wear the same thing week after week until it literally falls off. You can’t wash it unless you have a second one. It’s a real problem. The recovering client purchase large tee-shirts for our client on eBay and had them shipped. Our clients are no dummies, but there’s a lot of functionality proven by navigating eBay, paying through Paypal, shipping something, etc. We’re really proud of our clients! And it was a real uplift to our client to understand where the donation came from. And it was a real uplift to our recovering client to give back. And it was a real inspiration to us to be reminded how well recovering clients do!